Part 4 of the Halifax Ramen Quest is a battle of two sushi shops that focus more on tradition than fusion and flair. 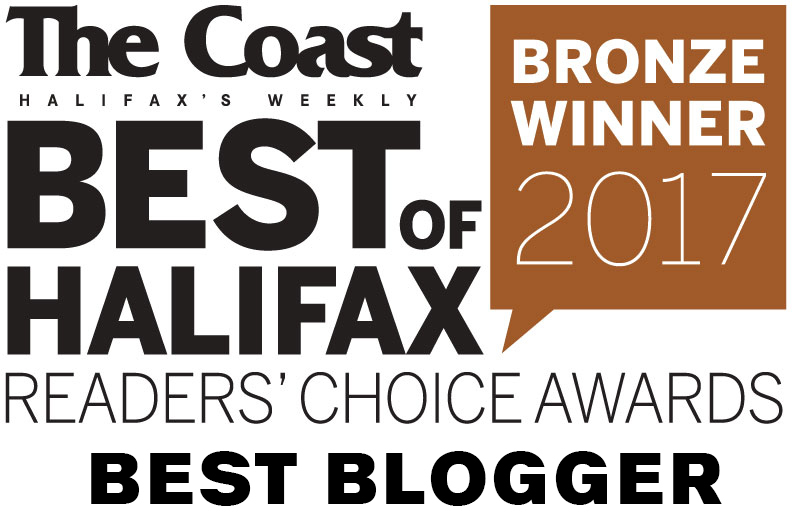 Both Dharma Sushi and Sushi Shige have been fixtures of the Halifax sushi scene for quite some time and both have their followings. I have put them head-to-head because they both offer just one simple ramen. Joining us on this quest is Riea Tsurumi. She has eaten lots of ramen in Japan, and brings her knowledge and experience to the group. 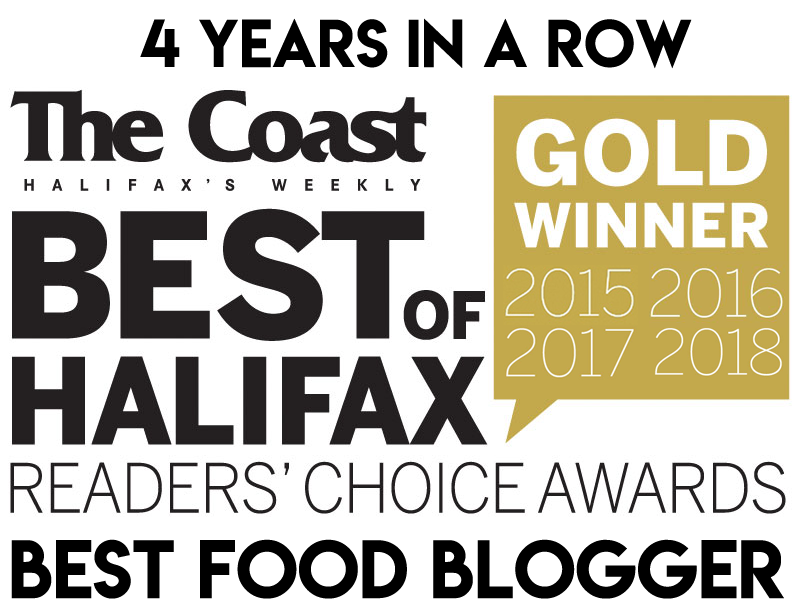 The Usual Suspects: Halifax ReTales, LuShark, Helen Fong, Denton Froese. If you’re just tuning in, see Round 1 for Quest Introduction. 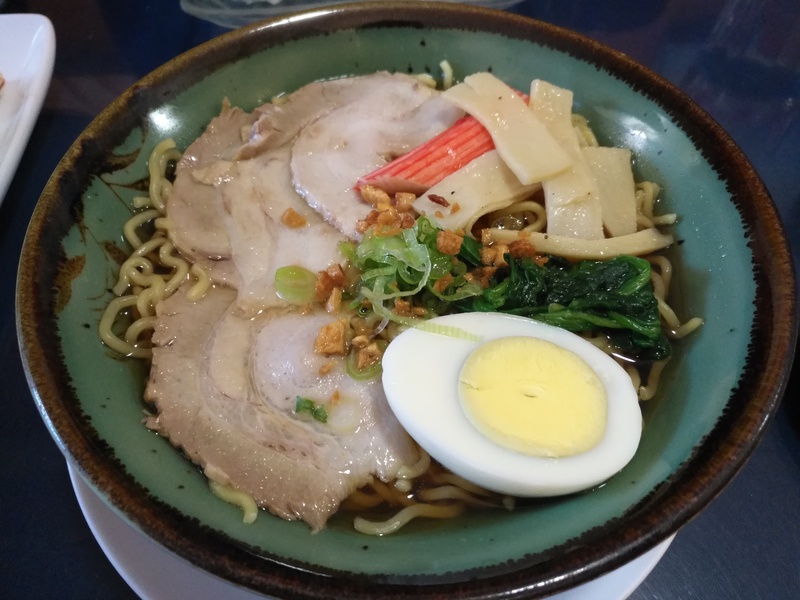 The “Dharma Ramen” ($10.95) is a shoyu based ramen with roasted pork, imitation crab meat, egg, spinach, bamboo shoots, green onion and garlic. This is an inexpensive but rather lean bowl of ramen. The portions are small, and the broth was only filled to the below the noodle line – a disappointing broth-to-noodle ratio. The pork was sliced really thin and the egg was overcooked. But we appreciated the spinach, crab stick and roasted garlic. The noodles, if unexceptional, had a great bounce. The light, soy flavoured broth was unremarkable. It was also lukewarm, and we wondered if the flavour may have been better had it been served at a higher temperature. Riea says this reminds her of food court ramen in Japan. It’s not bad, but not memorable at all. 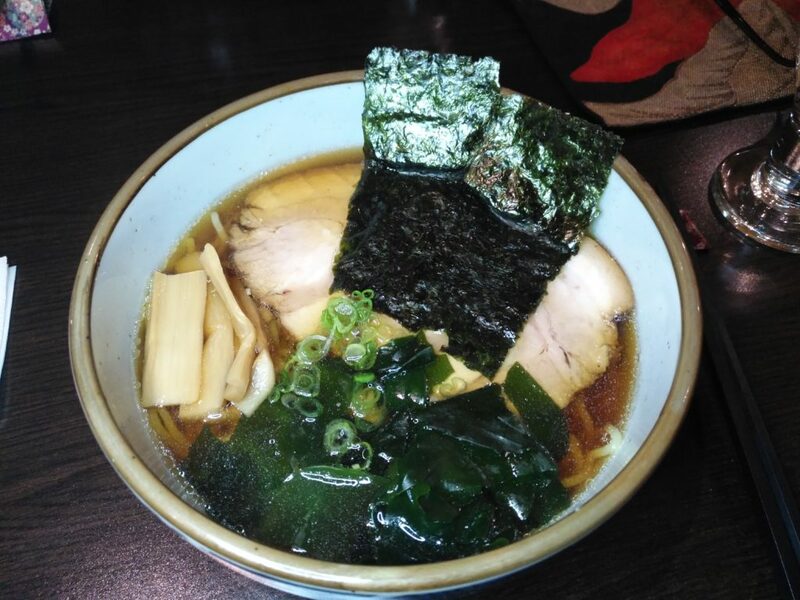 The Shoyu Ramen ($13.00) features chashu pork, seaweed, bamboo shoots and green onion in a soy sauce flavoured pork broth. We immediately noticed that Shige’s broth (while also lukewarm) was more layered and balanced than Dharma’s. Briny umami flavours from nori and wakame seaweeds permeated the broth, which was rounded out with green onions and shoyu. ReTales said he almost got that warm feeling in his belly that he gets from a good broth. The noodles were a little soft, but we all admired how they held the broth. Shige’s ramen does not come with an egg, but there was a better helping of pork and a better quality bamboo, which had a nice crunch. Shige’s ramen scored higher in every category. 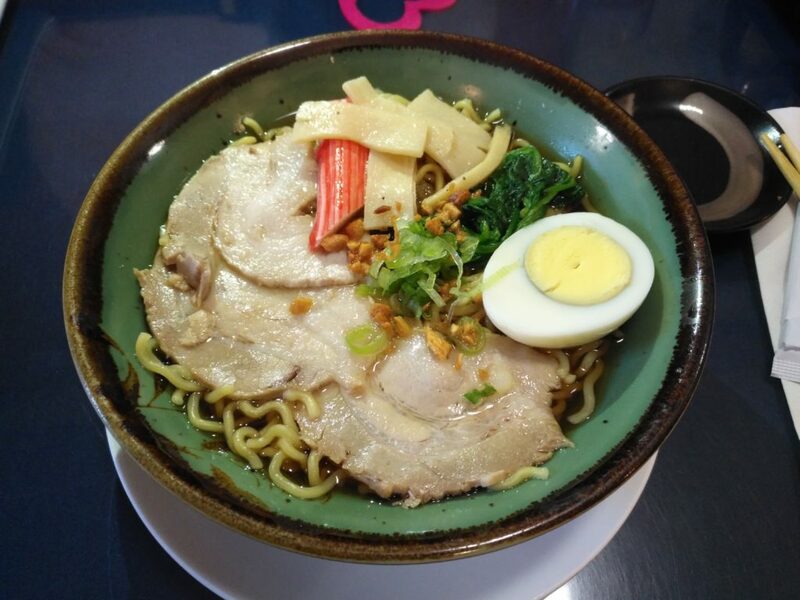 When it came to the broth, noodles, pork and veg – everything was just a bit better. Both bowls of ramen are minimalist and muted, but Shige has a bit of an edge in virtue of higher quality ingredients and execution. However, we all agreed that we wouldn’t rush back for either bowl. Especially not for $13. In the future, we’ll just stick to the sushi. Hmm what happened to Buta Ramen? (announced in round1 for round4)? Good eye! A post about Buta Ramen is coming very soon!